Click on a colored part below to see the Sets and MOCs that use part 88323 Technic Link Tread Wide with Two Pin Holes, Reinforced in that color. You can find an overview of all LEGO Colors here. 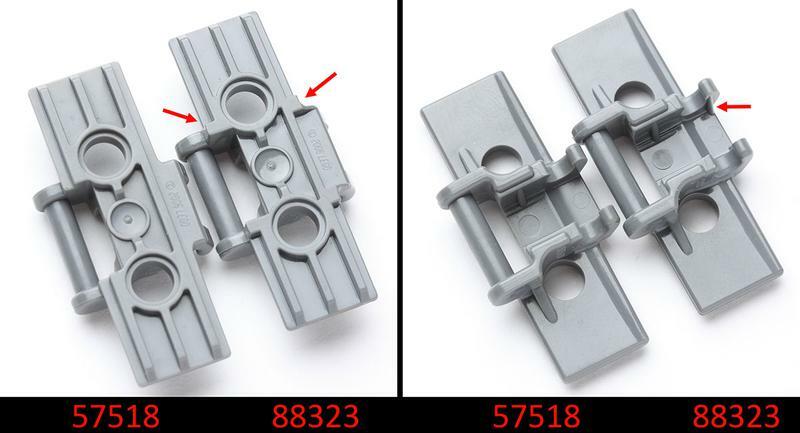 There are 2 Mold variations of part 88323 - Technic Link Tread Wide with Two Pin Holes, Reinforced in the database, in use between 2007 to 2019. See Molds and other related Parts.